Gay and bisexual troops who were forced to leave the military because of their sexual orientation prior to repeal of “Don't Ask, Don't Tell” and received an honorable discharge got only half of their discharge pay. Under a settlement to a class-action lawsuit filed by the American Civil Liberties Union (ACLU), the Pentagon has agreed to pay full separation pay to these troops dating back to November 10, 2004. Richard Collins, a former Air Force staff sergeant, was fired from his 9-year military career after two civilian co-workers reported to superiors that they had observed Collins kissing his civilian boyfriend. 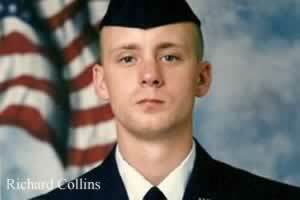 Collins was the lead plaintiff in the case. According to the ACLU, at least 180 veterans are affected by the settlement.